Scientists from the Faculty of Mathematics and Physics at Charles University, Faculty of Electrical Engineering and the University of Alberta in Canada have achieved major success in the field of artificial intelligence. The international team developed a computer program called Deepstack which in December 2016 beat professional players in one of the most popular card games in the world - Two player no-limit Texas hold'em poker, for the first time in history. Scientific discoveries that led to this result are published by the Science journal, one of the most prestigious scientific journals. Program Deepstack created another historical milestone of people being beaten in popular games by computer. 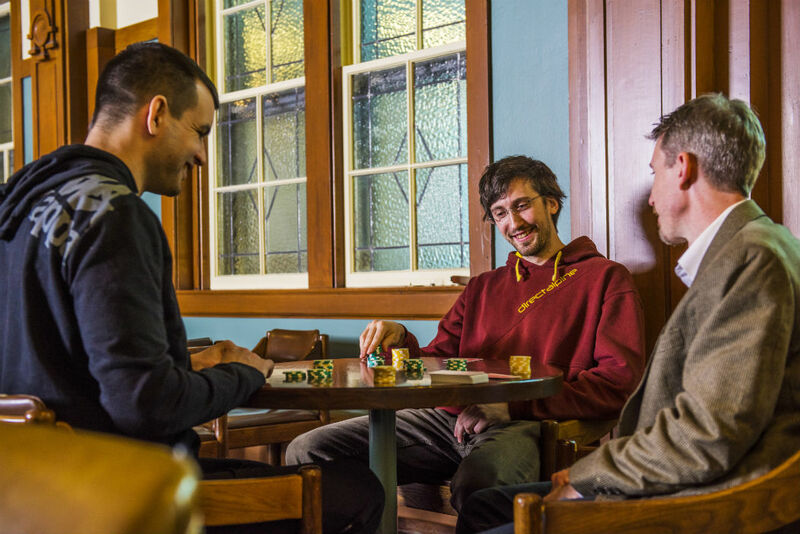 After Backgammon, Dame, Chess and Go there is No-limit Poker. Tough, there is one essential difference compared to the aforementioned games. The fact that the player cannot see the card of the opponent and vice-versa makes the problem much more complex from a theoretical perspective. On the other hand, however, the uncertainty of the information in real-world is a common feature. Mathematical game models allow description of the economical relations, auctions, network security, protection of critical targets or checking fare prices.This is precisely the reason why the new algorithm is an important element for application of game theory to practice, being groundbreaking because of the transfer of key ideas used in games with finite information to the world of games with incomplete information, something that was not possible until now. The program allows to calculate appropriate strategy for the situation in poker at the moment when the situation arises, without having to consider the entire game ahead, which has been the predominant approach so far. This fundamental change in the principles of solution was made possible, among other things, with the development of machine learning using deep neural networks. In the case of Deepstack, the network evaluates each poker situation, it is thus a form of intuition using an algorithm for making right decisions. Deepstack played against a group of professional poker players in December 2016. Thirty-three players, selected by the International Federation of Poker, came from seventeen countries. Each player had the opportunity to play 3,000 games of poker during four weeks time. In average, Deepstack beat the players with a huge margin. Each of the eleven players who finished all of the 3000 games, had lost in individual games.Only in one case, although not statistically significant, the win was on the human side.Hence, Deepstack is the first computer program to beat professional players in the Two player no-limit Texas hold'em poker. Alongside scientists from Canada's University of Alberta, co-authors of the new program are also Martin Schmid and Matej Moravčík from the Department of Applied Mathematics of the Faculty of Mathematics and Physics at Charles University and Viliam Lisý from the Centre of Artificial Intelligence at the Department of Computer Science of the Faculty of Electrical Engineering at CTU. Prof. Michael Bowling was the research supervisor. 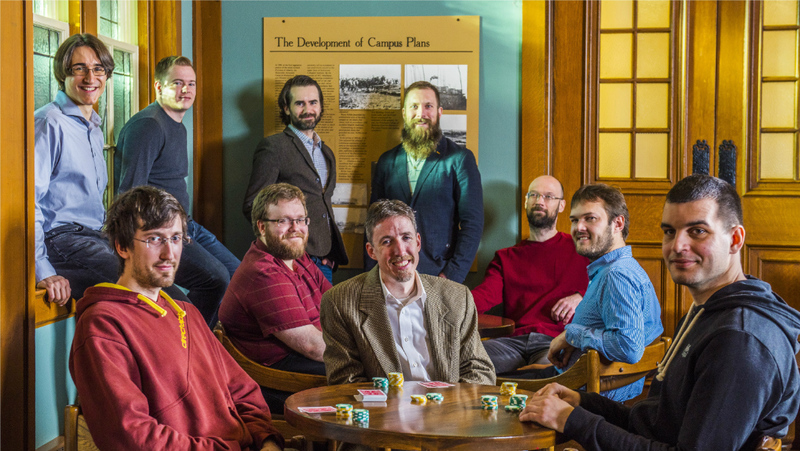 All information about project DeepStack in english are on website of Computer Poker Research Group of the University of Alberta. The article "Deepstack: Expert-Level Artificial Intelligence in No-Limit Poker" was published online by the Science journal on Thursday, 2 March, 2017. Following media have also informed about the program: Science, iHNed.cz, E15, ČT24, Aktuálně, Rozhlas, CNN, Lidovky.cz, Vesmír, ICT Network News, Týden, Novinky.cz a Technet. Press release of the czech members from Charles University and CTU in czech here.